John Karl Wetteland (born August 21, 1966) is a retired American Major League Baseball pitcher who specialized as a closer. During a 12-year career (from 1989–2000), he pitched for four different teams: the Los Angeles Dodgers, Montreal Expos, New York Yankees, and Texas Rangers. Wetteland was signed by the Dodgers as their second choice in the June 1985 amateur draft (Secondary Phase). He was later claimed by the Detroit Tigers in December 1989 as a Rule 5 Draft pick, but was soon returned to the Dodgers. While playing in the Pacific Coast League, he garnered notice by earning 20 saves in 20 chances. He made his major league debut on May 31, 1989. After struggling with his first five starts in 1990, Wetteland asked to be switched to the bullpen, and became a full-time closer in 1992. After the 1991 season, Wetteland was traded twice; first to the Cincinnati Reds for Eric Davis, and then to the Expos for Dave Martinez. On April 5, 1995 he was traded to the Yankees for Fernando Seguignol. During the 1996 season, he led the American League in saves, totaling 43, and appeared in the All-Star Game. During the 1996 World Series, Wetteland had 4 saves and the Yankees won the World Series against the Atlanta Braves in 6 games. Wetteland was given the World Series MVP Award that year, recording the maximum four saves possible during the Series, tying the record for the most saves in a single postseason series (Dennis Eckersley first did it in the 1988 ALCS; since then, Greg Holland matched it in the 2014 ALCS), and setting a record for saves in the full postseason, with 7 (since then, Robb Nen, Troy Percival, Brad Lidge, Koji Uehara, and Holland, share this record). He was awarded with the 1996 Rolaids Relief Man Award. The most famous of the four World Series saves was in Game 5, as a result of ex-Reds teammate Paul O'Neill robbing Luis Polonia of a potential extra-base hit to right-center field. That save, and batterymate Jim Leyritz's three-run game-winning home run in Game 4, both in the final two games in Atlanta Fulton County Stadium, are the two most remembered moments of that World Series. The Yankees allowed Wetteland to leave as a free agent due to the emergence of Mariano Rivera. He joined the Texas Rangers on December 16, 1996, signing a 4-year contract worth $23 million. Before the 1999 season, Wetteland underwent elbow surgery. The surgery robbed him of some of his fastball speed, forcing him to expand his repertoire to include a slider, curveball, and change-up. Wetteland was again named to the All-Star team for the 1999 season, where he pitched a scoreless 9th inning, and became the first Rangers pitcher to earn an All-Star save. His 43 saves that year set a new Rangers record. His final game was on September 20, 2000, and he retired at age 33 after his Rangers contract expired during the 2000 offseason. Wetteland was awarded the Rolaids Reliever of the Decade after earning the most saves of any pitcher during the 1990s. He is also the Rangers all-time saves leader. His final win/loss percentage was .516, with 48 wins and 45 losses. 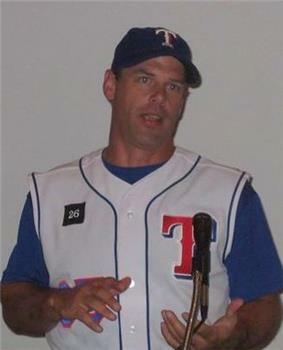 In 2005, Wetteland was inducted into the Texas Rangers Hall of Fame. On January 27, 2006, Wetteland was hired as the bullpen coach of the Washington Nationals. However, on June 15, 2006, Wetteland was relieved of his duties by manager Frank Robinson, and offered another position within the organization. On December 3, 2008, Wetteland was announced as the bullpen coach for the Seattle Mariners. He served in this position until after the end of the 2010 season, when new manager Eric Wedge replaced him with Triple-A Tacoma Rainiers pitching coach Jaime Navarro. Wetteland and his wife Michele met while he was playing for the Double-A San Antonio Missions. They have four children and live in Texas. On May 18, 2007, Wetteland, a born-again Christian, was introduced as an assistant baseball coach and Bible teacher at Liberty Christian School in Argyle, Texas. On November 12, 2009, Wetteland was hospitalized for what was originally reported to be a "mental issue." In a subsequent statement upon Wetteland's release the same night, the Seattle Mariners indicated that the cause of the hospitalization was "because of an extremely high heart rate" linked to high blood pressure. ^ "Mariners hire Adair, Wetteland as coaches". ESPN.com. Associated Press. December 3, 2008. Retrieved 2008-12-03.